...are the words Bryson belted out at the top of his lungs the day I got home from Youth Conference a few weeks ago. I went "bye-bye" for three full days, which is the longest Bryson and I have ever been apart and apparently he felt the need to compose a song about our time away from each other. 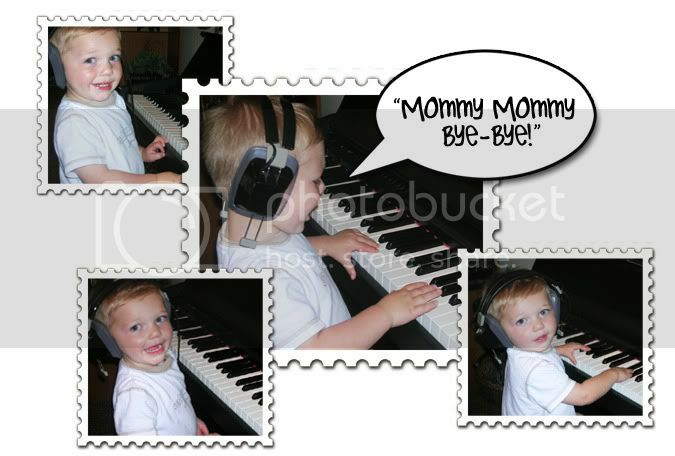 While pounding away on the keys, he belted out with his awesome 2-year-old vocals, "mommy, mommy bye-bye!" over and over again. It was quite the serenade! I leave for a few days again this week--this time to Girls Camp, so we'll see what type of a serenade he gives me upon my return home this time. I can't wait!